For most of my life I’ve loved summer. What’s not to like? 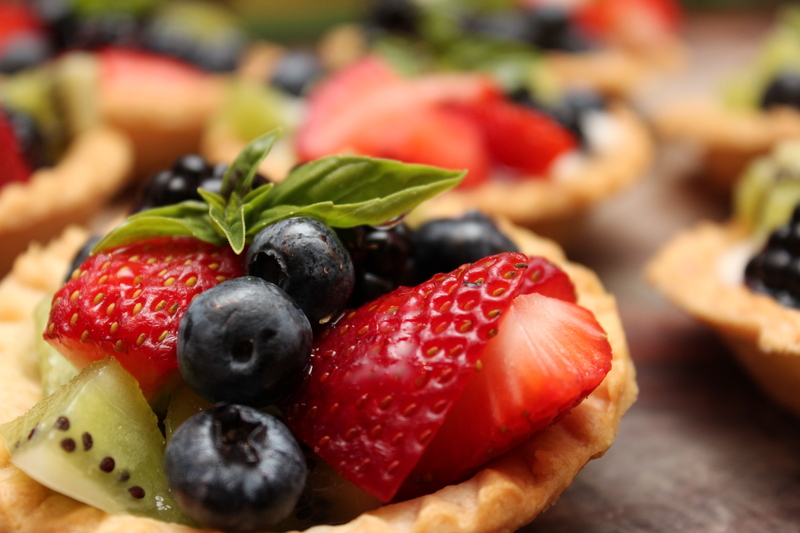 Long days, ice cream, warm nights on the lake, fresh fruit, swimming pools….then I moved to Texas. Don’t get me wrong, I love the Lone Star State, but damn it’s hot. Thank god this summer hasn’t been remotely as excruciating as the last, in fact, it’s reminded me of all the reasons I love summer. Basil is one of my favorite herbs to grow. It’s super easy and produces an abundance of fresh basil the entire spring and summer season. So when the heat started to pick up I wanted to put some of the beautiful leaves to use before the sun burned them all up. 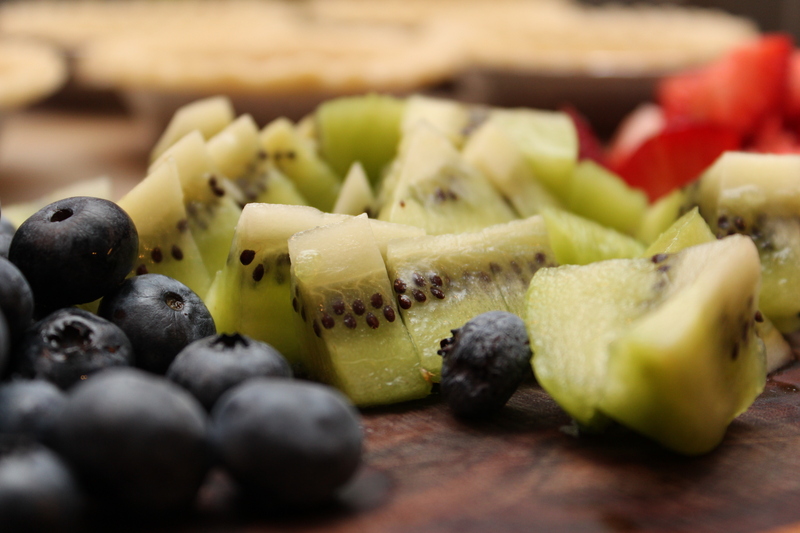 Oh and lets not forgot all of the amazing fresh fruit on hand! 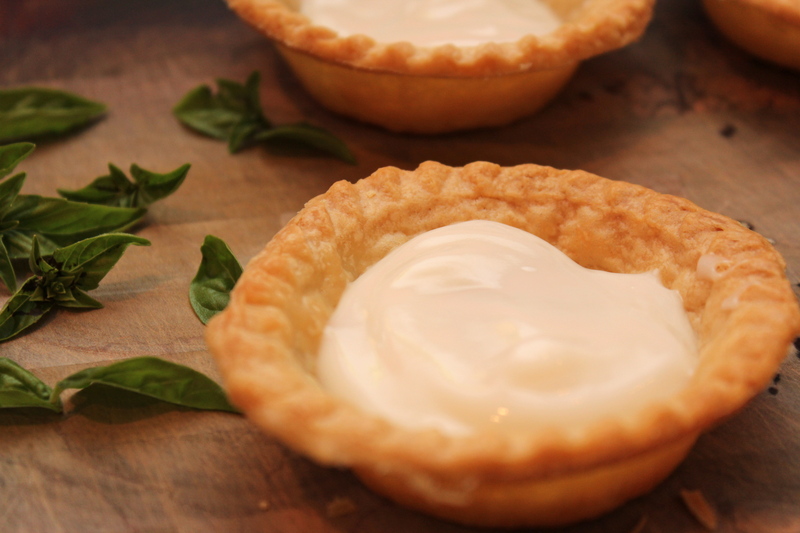 I made two versions of the tarts, one with yogurt and one without, but for the sake of this post I’m sticking with the yogurt tarts…delish! In a small saucepan heat the water and sugar over medium heat until the sugar is dissolved. Remove from the heat and stir in the lime juice and basil. Let the simple syrup rest until cooled and the basil has infused into the liquid. Strain into a small bowl and set aside. 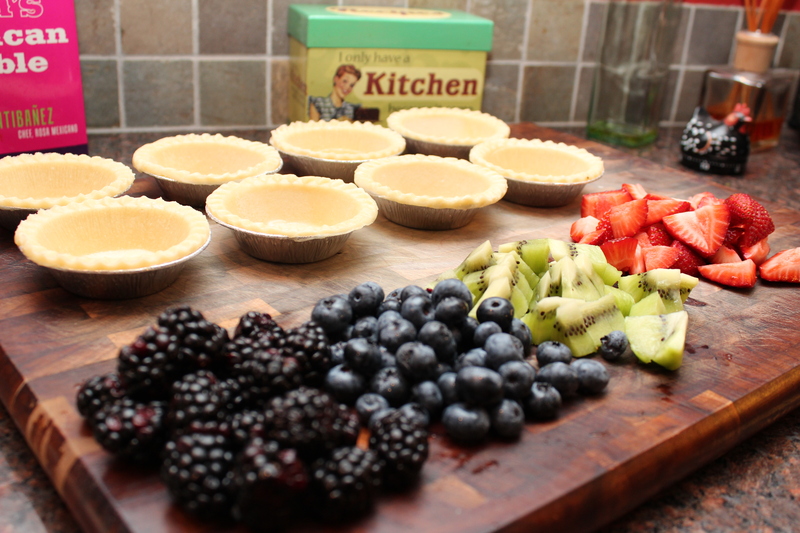 Pierce the tart shells with a fork on the bottom and sides of the tart shells to prevent puckering. Bake until lightly golden brown, 8-10 minutes. Remove from the oven and cool. Remove the shells from the tins and spoon one tablespoon of yogurt into each shell. 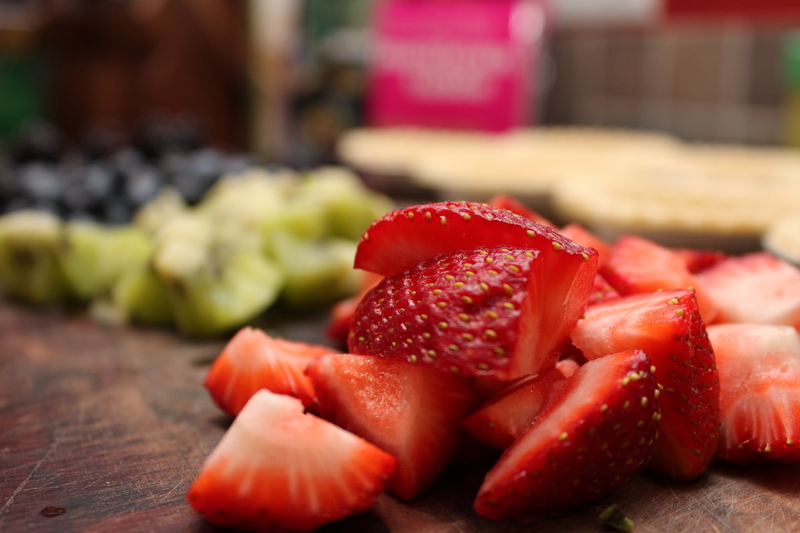 Fill with the fruit and drizzle with the simple syrup. Top with two sprigs of basil. 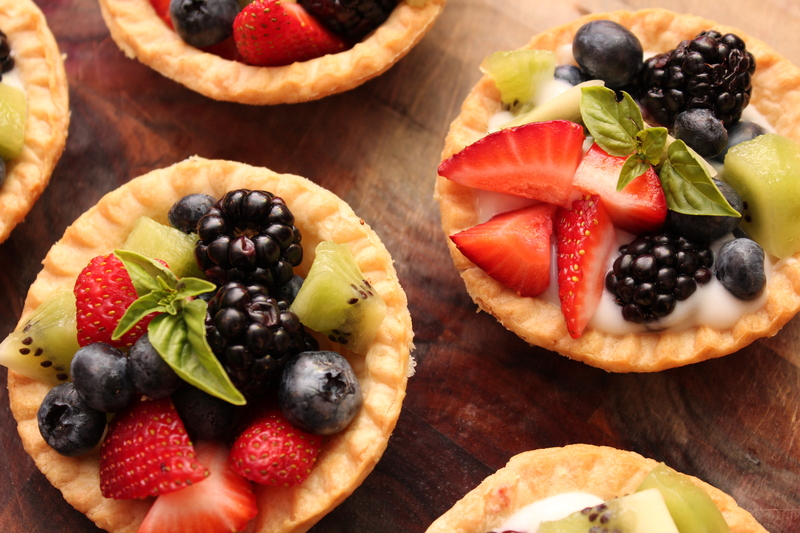 **Side note: you could also mix all of the fruit together in a large bowl with the simple syrup then fill the tart shells.